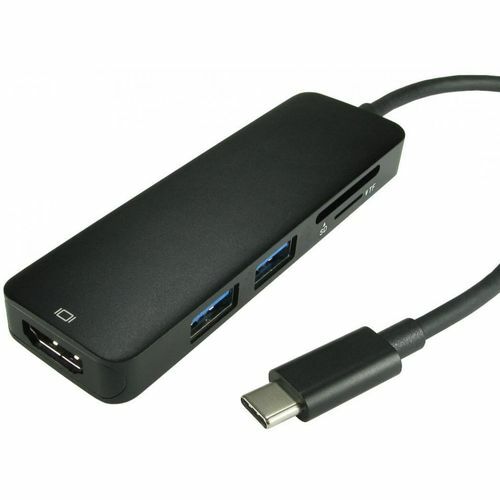 This USB type C adapter has a HDMI output, USB 3.0 2 port hub and card reader built in and can all work at the same time. This means that if you have a laptop with only one or two USB type C ports, you can us one port to perform 2 functions and additional devices via the two USB 3.0 ports. This is ideally suited to laptops with two USB type C ports so that one can be used for charging and one can be used for this multi-port adapter.